Vince Chiarelli, General Manager of Rockford College Radio, was the record spinner for the WRCR alumni hosted Old School Radio Show on Saturday October 1, 2011 during Rockford's fall reunion weekend. Rockford College Radio is almost exclusively digital in the music it plays. 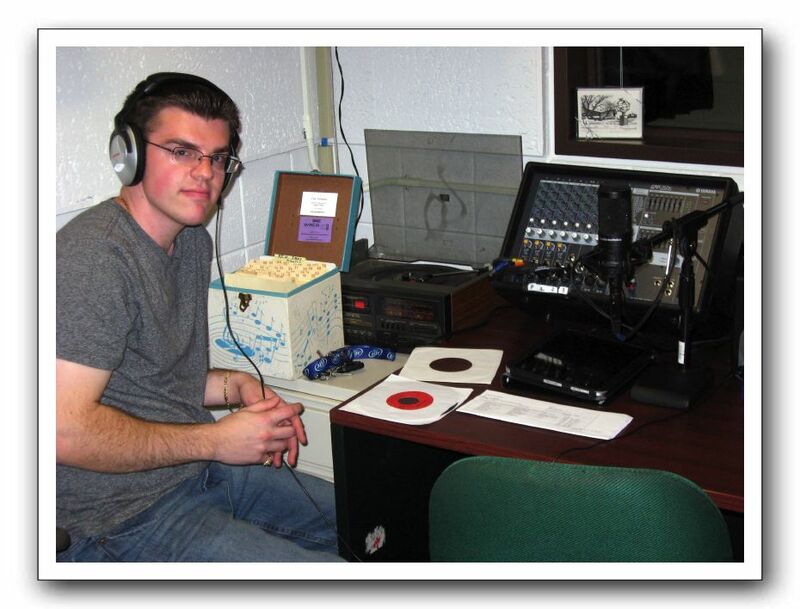 For the Old School Radio Show all the music was vinyl and chosen in on-line voting by WRCR alums. The music came from Cece Forrester's collection of 45rpm records. The blue & white record box held the records which were played from the turntable in the background.